The first leg of this one way trip takes you from Molde to Sjøholt. 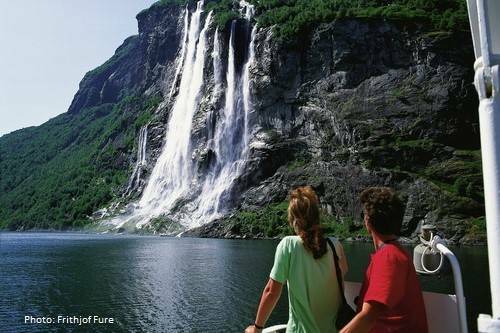 This stretch includes a ferry trip of about 35 minutes, allowing you to see the town of Molde from the seaside. You can also enjoy one of the local specialties, svele (a type of sweet pancake) that you can buy onboard. From Sjøholt, the trip continues to Linge ferry quay, where you leave the bus and take the ferry to Eidsdal ferry harbor. 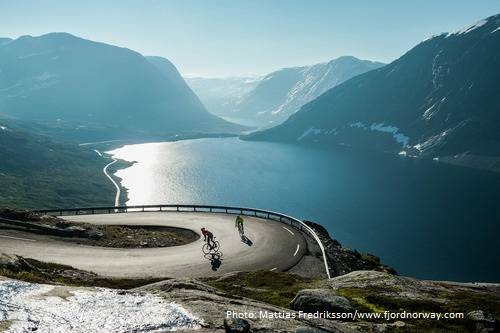 From Eidsdal, the trip goes on to Geiranger by bus, via the spectacular Eagle Road where there is a short photo stop. 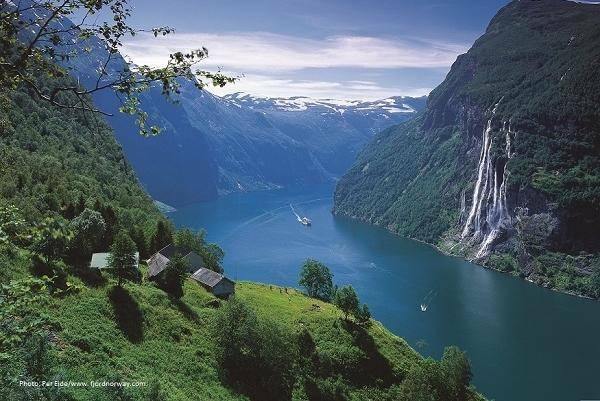 In Geiranger you can enjoy the view of one of the most beautiful fjords in the world – surrounded by mighty mountains. From Geiranger you have various options to travel to Ålesund, Trollstigen and Åndalsnes, or back to Molde.